Our most important team member is you, and together we can achieve amazing results. We fuse a talent pool of complementary resources into a high performing, nimble team rooted in relationships of integrity, mutual respect, shared values and social responsibility. Here are just a few of the people that make working with us personal. "Learning without thought is labor lost; thought without learning is perilous." - Confucius. moving you from gray uncertainty to a clear direction. Mag believes the brand is the sum of all its experiences, just as the person is the sum of all her decisions. Helping clients to connect the dots across a variety of customer touch points, within organizations and across disciplines, therefore building a complete picture of their brand health, is her passion. Mag manages the organization by delivering marketing consulting services to Fortune 500 companies and medium-size organizations. Prior to establishing Clarteza, Mag worked at consulting and marketing research companies, managing teams on complex international and domestic projects. Her experience on these major projects includes new product idea development and screening, consumer experience assessment through key touch points, cross-country shopper insights, identification of in-market white space opportunities, comprehensive brand health assessment, and many other. Mag has also worked in a variety of marketing divisions, including consumer-packaged goods, travel, automotive, financial, hospitality, and durables. Clients she has worked with include: Nestle, S.C.Johnson, Kellogg's, P&G, GM, InterContinental Hotels, ConAgra, Allstate, and much more. Her international experience has found her managing engagements in the US, Europe, Asia, Latin America, and Africa. Mag participated in and was a speaker at many industry conferences and panels; she spoke at the Kellstadt Marketing Forum, served as a lecturer at DePaul University, and was also involved in the Entrepreneurship Challenge at the University of Chicago. 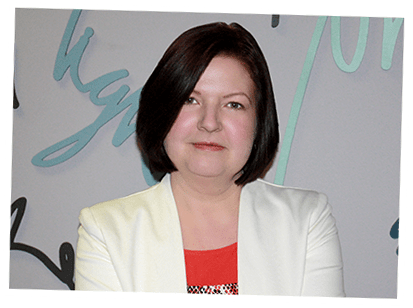 Her publications include a white paper titled, “Global Research: Taking the World by Storm without Getting Wet” and a variety of articles like “Conquering Our Fear of Change,” In NAWBO, January, 2016. Mag’s education includes Harvard Business School, Executive Education; Masters of Business Administration from DePaul University in International Business; and a BA from Thomas More College in Business Administration and Economics. She is also currently pursuing a program at Stanford University entitled “Strategic Decisions and Risk Management.” Recently, Mag completed the Innovation Master Series on Design Thinking. Mag is a boundary crosser, having moved countries three times. Her study of the violin influenced her approach to business. Her boundary-crossing figures in her work to cross departments within organizations. In addition to playing the violin, Mag plays tennis, enjoys ballroom dancing, skis, runs, wakeboards, and meditates. From her multi-faceted personal and professional life, she connects people and ideas, pushing the boundaries of brands and products. 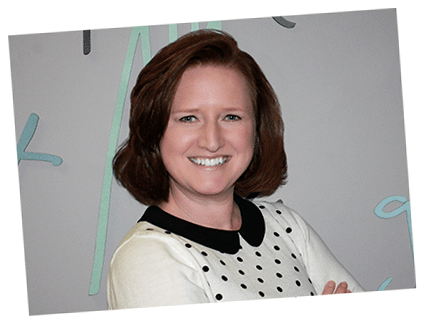 Amanda is a behavior scientist dedicated to using multiple research techniques, advanced analytics, and her change management and social psychology background to assist clients with enhancing their brand strategy. Amanda is a certified Research Expert for the Qualtrics survey platform and an experienced SPSS user of over 20 years. 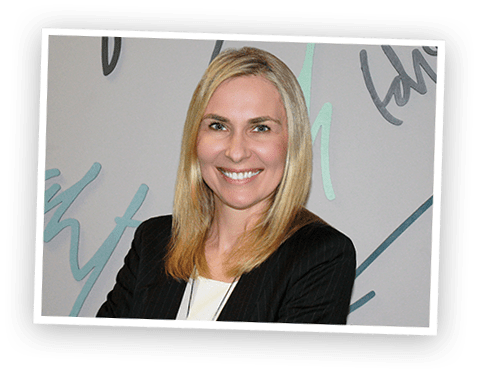 Amanda has consulted for numerous Fortune 500 clients such as Accenture, Anheuser-Busch, Best Buy, BP, Caterpillar, DaimlerChrysler, Goldman Sachs, Harley-Davidson, Johnson & Johnson, Kraft Foods, McDonald’s, Nationwide, Nestle, SC Johnson, Visteon. Prior to joining Clarteza, Amanda worked for the global professional services firm Towers Perrin (which became Willis Towers Watson) for ten years. She specialized in the areas of measurement, change management, culture integration and talent management. Amanda has a doctorate in Social Psychology from University of Delaware, where she also taught courses in Measurement and Statistics, General Psychology and Industrial/Organizational Psychology. Amanda has presented research papers on such topics as the employee component of corporate brand management, the link between engagement and performance, intrinsic motivation and the concept of flow, and the interaction between self-identity, diversity and loyalty. Debbie brings 15 years of Data Management experience in the Market Research industry to Clarteza. Through multiple methodologies, she delivers superior quality data and exceeds expectations. Her attention to detail and commitment to excellence translates to an expansive knowledge base and a driven attitude to make every project a success story. Debbie's desire to always learn something new lends itself for each day to be a new opportunity to take her skills to the next level. She received her Business Administration degree from the University Of Wisconsin and soon after found her passion for market research with Millward Brown/Kantar Operations before joining the team at Clarteza. ©Clarteza | All rights reserved.